The EVGA Z68 motherboards have arrived! 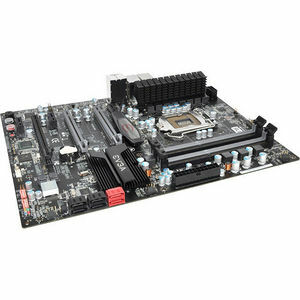 These motherboards based on the latest Intel Express Chipsets offer incredible performance and overclocking with Intel Core i5 and Core i7 processors, and with the new Intel Smart Response Technology, users can combine a Solid State Drive with a traditional mechanical drive and receive both high storage capacity! Intel Smart Response Technology implements a storage I/O caching system to provide users with faster response times for frequently used applications. The entire EVGA Z68 lineup has full support for SATA III/6G and USB 3.0 giving you the latest standards in high performance storage, and a forward thinking true next generation motherboard layout allow you to take control!.